Beautiful Cross Design. 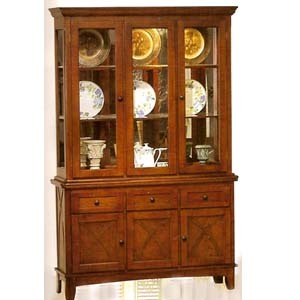 The Buffet Has Three drawers And Two Side Doors With Adjustable Shelves. The Hutch Comes With Mirror Back And Two Canister Lights. Size: 52In.W. x 16In.D. x 81In.H..